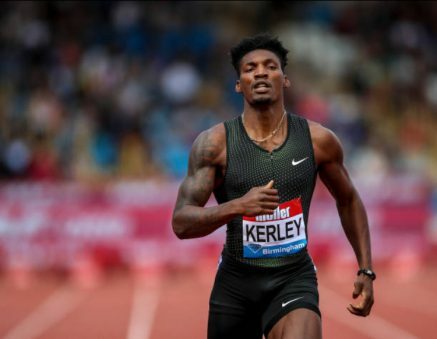 18th August 2018 – After a mid-season injury stalled his progress Fred Kerley (USA) showed that he is well on the way back with victory at the IAAF Diamond League in Birmingham. In a tight finish Fred just found a bit extra in the last 10 metres to take the win in 45.54 seconds from fellow PACE athlete and European Champion Matthew Hudson-Smith (GBR) who was second in 45.59 seconds. Both athletes qualify for the Diamond League final in Zurich. After her triple European gold Dina Asher-Smith (GBR) had a busy week away from the track but still put on a strong show in front of the British fans in a high quality 200m. Dina took second in 22.58 seconds with NACAC 100m Champion Jenna Prandini in 5th (22.58). Again both athletes have qualified for the Diamond League Finals. Hellen Obiri (KEN) was hampered by a tight hamstring on this occasion but still did enough to take third position in the 3000m in 8:36.26. Stephanie Twell (GBR) was 11th. Vincent Kibet (KEN) has been working hard back in Kenya while the various continental championships have been taking place and he was rewarded with fourth place in the famous Emsley Carr Mile. In the women’s metric mile Winny Chebet (KEN) placed sixth in 4:03.64, a result which sees her qualify for the Diamond League Final.